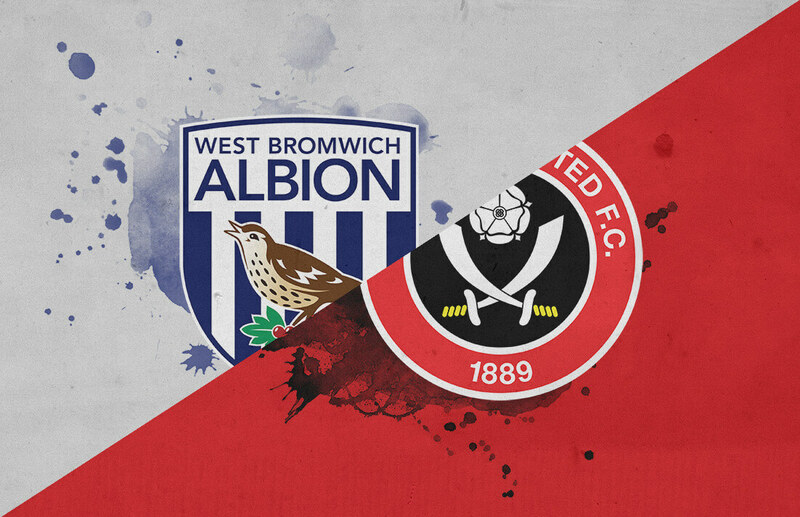 Sheffield United claimed a vital 1-0 win over fellow Championship promotion chasers West Brom on Saturday. A first half goal from Kieran Dowell was enough to see the Blades give themselves some breathing space ahead of the Baggies at the top end of the league. The on-loan Everton midfielder nodded home smartly after a lovely cut back from Martin Cranie, looping his header delightfully into the far corner. It was his first goal for the Blades since joining in January. United then did excellently to control the game for the remainder of the match. They generally kept West Brom at arms length and managed to keep a clean sheet, something of a rarity against the Baggies this season, who have been in fine goalscoring form. The result saw the Blades keep their spot in the automatic promotion places ahead of Leeds on goal difference. 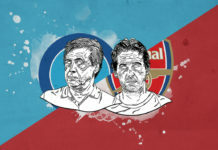 It also saw them put a four-point gap between them and their opponents, who remain in fourth place. 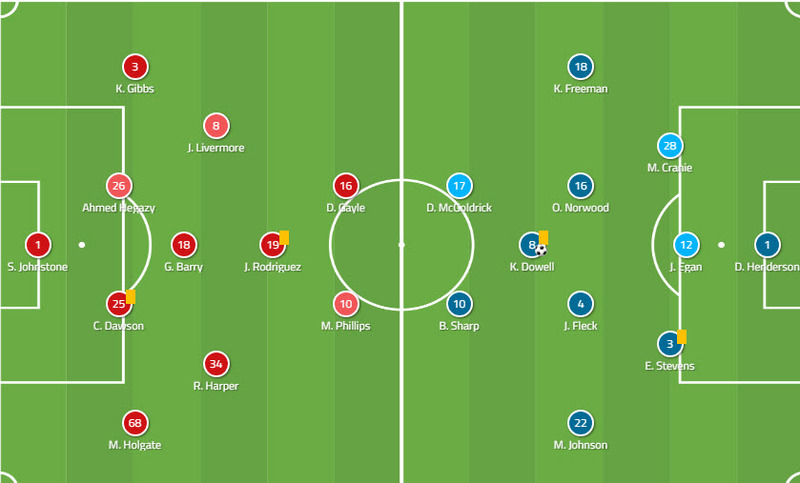 West Brom played a 4-3-3 on Saturday, as they have often done over the past few months. Jay Rodriguez was flanked up front by Matt Phillips and Dwight Gayle, with Gareth Barry coming back into the midfield. Rekeem Harper was also given the nod in midfield. Rodriguez was, however, somewhat lacking in service throughout the match. He only managed 33 touches in the entire game while his goalkeeper, every defender and Gareth Barry all managed 60 or more. The Baggies were largely restricted to backwards and sideways passes by United’s solid shape. Sheffield United, meanwhile, went with their unique 3-4-1-2 formation. Injuries saw a change in personnel at the back, however, with Martin Cranie and Enda Stevens filling in at centre-back alongside John Egan. Kieran Dowell was in ahead of Mark Duffy in the number 10 role, with the experienced midfielder being rested. The youngster certainly justified his selection, heading home the winner and putting in what was arguably a man-of-the-match performance. He managed a pass success rate of 83%. Chris Wilder’s fascinating use of the wide centre-backs in his 3-4-1-2 has been a key feature of Sheffield United this season. They bomb forwards with attacks, creating overloads in midfield as well as providing surprise overlapping runs closer to the box. United’s goal showed how well Wilder has drilled the system into his players. Martin Cranie, making only his fifth start this season, provided an excellent assist for the first goal in a move typical of the system. In the image below, he can be seen making a run overlapping his wing back Kieron Freeman, who lays a pass off to him. Cranie then does excellently to reach the ball, just about managing to float a cross in while on the slide. It is directed perfectly to Dowell, who has just smartly hung back from making a burst into the six yard box. The midfielder is then able to loop his header into the far corner. This move for the goal perfectly exemplifies the system that Wilder has fashioned. The overlapping run from centre-back Cranie catches out the West Brom defence, and he is able to provide the cross for what would prove to be the winning goal. After taking the lead in the first half, Sheffield United then preceded to put in a masterful game management display. They maintained shape resiliently, and chose their moments to press well. They also exploited gaps between the West Brom midfield and defence as the Baggies pushed forward in the second half. As can be seen below, the three attackers for United would spread across to form a block on any decent passing options into midfield, as well putting themselves in positions to close down the full-backs if need be. The two central midfielders behind further congest the middle of the park, stopping West Brom from playing through them. In the next example, we can also see the three-man forward line block. On this occasion, though, John Fleck has burst forward from the midfield line to apply additional pressure to Gareth Barry on the ball. He has done this as Barry has all his forward options under control, so will be forced to play it back to his keeper. Fleck continues his run, and forces the keeper Sam Johnstone to go long and concede possession. The shape of United generally kept West Brom at bay, and the well timed press triggers from midfield forced the Baggies into giving the ball away. 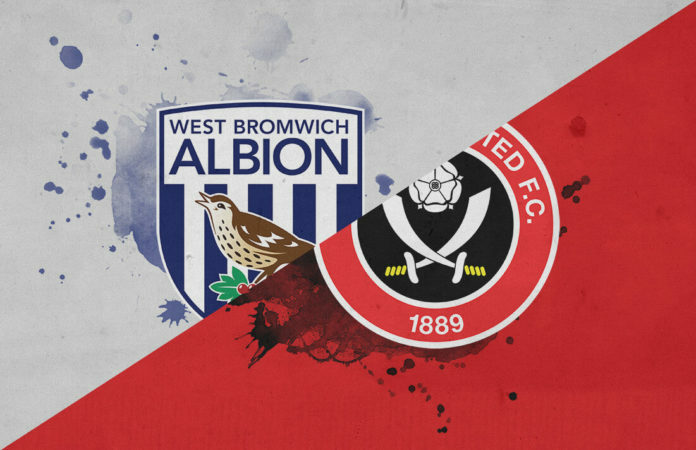 While Sheffield United generally made themselves difficult to break down, West Brom did not properly exploit the potential gaps in their system. As with any three-man back line formation, the chink in the armour is often the wide spaces. 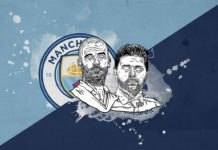 If the wide forwards are willing to spread sideways and the full-backs willing to push on to create overloads, this can be exploited dangerously. 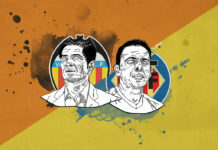 The wing-back will be forced to either fall back and leave his midfield undermanned, or stay further forward and leave space in the wide areas of the final third. As we can see below, West Brom failed to properly attack this potential weakness. There is a huge space out wide just crying for a forward to move into and disrupt the back line. Instead West Brom crowd in an already congested middle area of the pitch. 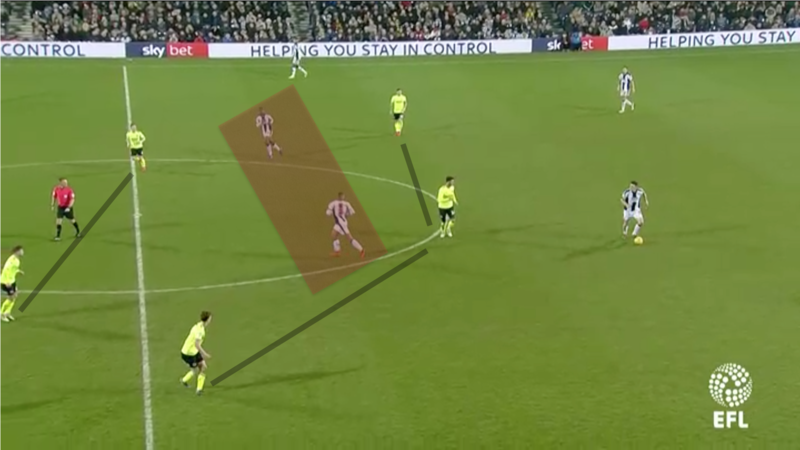 We can see another example below of the Baggies failing to exploit the wide areas a few seconds later. Matt Phillips should either be presenting down the line for Mason Holgate, or looking for a round-the-corner ball from Rekeem Harper. Instead, he is drifting in the middle of the pitch with no particular direction or penetration. It’s tactically infuriating when there is space there to be utilised in stretching the United defence. West Brom completely failed to do this. This was a frustrating afternoon for the Baggies. There were hit with an incredibly slick smash-and-grab performance from Sheffield United. The Blades did a superb job of efficiently controlling the game and remaining solid throughout, while not having to exert themselves hugely in defence. It must have been a delight for Chris Wilder to watch his side see out the game so assuredly, especially after his side had taken the lead from a move that came about from the unique tactical style he has developed with his side this season. The result sees automatic promotion slip a little further away from West Brom, who may now have an eye on a potential playoff tie. The Baggies will be disappointed after failing to get on the score sheet for only the fourth time this season. It does, though, speak volumes for the quality of the display from Sheffield United.